You Are The Sunshine Of My Life | Wedding Wisdom, Etc. If “The Way You Look Tonight” is my favorite recommendation for the Father/Daughter dance, the great Stevie Wonder’s classic “You Are The Sunshine Of My Life” is it’s perfect match for the Mother/Groom dance. Both songs have beautifully simple lyrics accompanied with a distinctly danceable beat. This particular video may be the first time I’ve ever seen Stevie perform without sitting at the keyboard. The man is a true artist, and is definitively the finest singer/songwriter of this or any other generation. 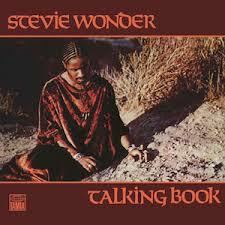 You Are The Sunshine Of My Life was the first song on Stevie’s historic 1972 album Talking Book, which also contains his equally remarkable Superstition. Both songs went to #1 on Billboard Magazine’s Hot 100s Chart, which was the benchmark for record sales long before iTunes. You Are The Sunshine Of My Life also won Stevie his first Grammy Award for Best Male Pop Vocal Performance. Watching the video, Stevie calls to “Greg” to begin the song on the keyboard. He’s talking to Greg Phillinganes, a brilliant singer/songwriter who became the most sought-after keyboardist as throughout the ’70s and ’80s. Phillinganes would attain his greatest acclaim as the Musical Director for Michael Jackson.